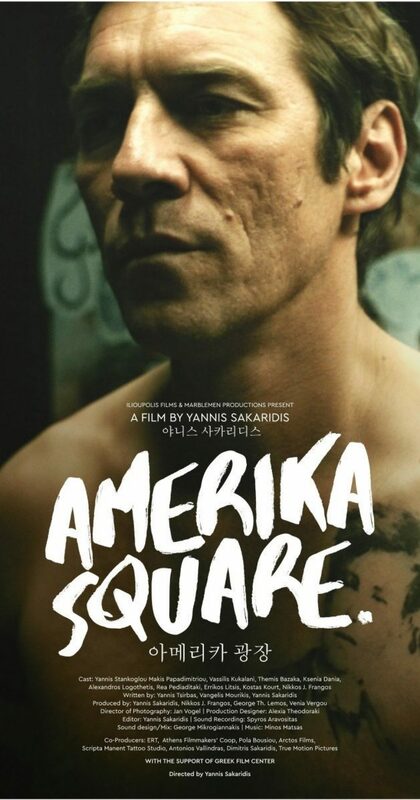 Marblemen Productions is proud to announce that our Greek feature film drama AMERIKA SQUARE is having its UK premiere at Raindance Film Festival on Tuesday 26 September, at VUE WEST END at 17:45 hrs. It was hailed as “one of the best European films to date on the subject of immigration” (The Hollywood Reporter). It charts the intersecting fates of three people living in an Athens housing complex: a local tattoo artist , a Syrian refugee and a xenophobic nationalist. What plays out between them is a bracing, morally complex look at the human side of the immigration debate. This exceptional and critically acclaimed film has won Best Film and Audience awards at Festivals in Greece, Italy, Bulgaria, China and Los Angeles and it has been selected to represent Greece at the Academy Awards (Oscars)2018, for consideration in the category of ‘Best Foreign Language Film’. Link for further details, a trailer and application for tickets.